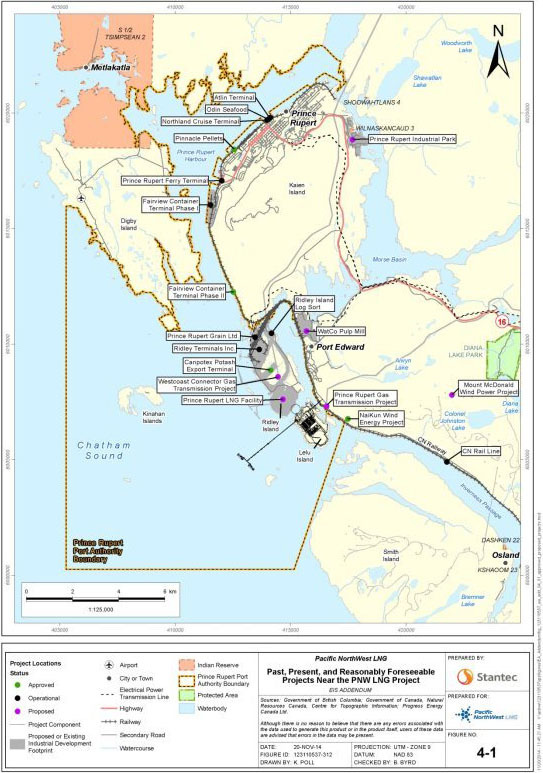 Chief Clifford White of the Gitxaala Nation sees much-needed benefits from LNG development, but long-term benefits will have to be carefully worked on by his Nation; they won’t simply come on a silver platter. The benefits include a lot of potential for partnerships, and for employment and training, of course, and education. These are all big pieces that we can all get involved with. There are big opportunities for all First Nations and other people. All of us need to think outside the box and think in terms of what the opportunities are. They’re not going to be handed to us on a silver platter, but there are opportunities. And there are a whole bunch of spin-offs. We do have partnerships already in place. Through our Impact Benefit Agreement with LNG Canada we carved out some work, and then there was some procurement, they also purchased some goods and services from us. To that end, we are building businesses around that. And we are looking at legacy programs, such as metal fabrication. They need some work to be done, on metal work. And it’s not only LNG Canada. There are all kind of groups like automotive and tugboating, mining, you name it, that require metal fabrication. We are working with them, and we are looking at developing further partnerships with them. So we also are looking at partnerships with other First Nations on putting together metal fabrication, and negotiating with them, and the contractors around them, as to what needs to be put into play. We’re currently in the process of working all that through. We have training on the go for cooks and carpenters. We developed a large, heavy-duty mechanics program. Our first intake on that is going to be in February (2019). These are legacy pieces that we can put into play, and once LNG is gone then these opportunities live on. It’s not necessarily just working with LNG. 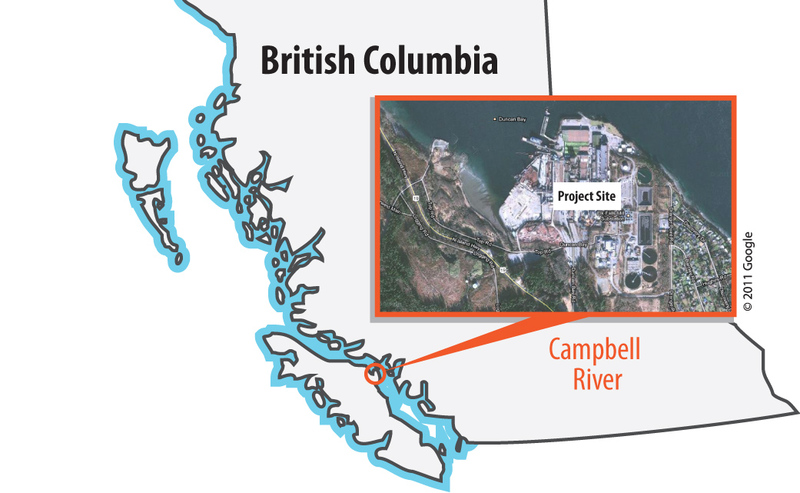 We look at putting together programs and services that will benefit everybody, including LNG. One thing we have looked into is affordable housing. And to that end we just opened our first 46 units of affordable housing, and we’re building another 60 units of affordable housing. So, again, it’s looking outside the box. It’s looking at what are our needs, our peoples’ needs, and how can we bring that to fruition and make things happen. We’re looking at the social impacts (of LNG and resource development) as well. What are the social impacts on First Nations when it comes to these major projects, and how can we mitigate those? This is about partnership that supports our people’s long-term career aspirations and considers the socio-economic health of our communities. There’s a whole cultural and social piece. Resource proponents don’t always want to get involved, because of the ongoing cost. But big developments might bring problems like prostitution, alcohol, drugs. And there is an impact on housing and daycare, things like that. Those things need to be addressed. And those are things we are working on with other First Nations as well, to make sure that it doesn’t get out of hand, and that we can deal with the issues. Right now, we are looking at probably 65-per-cent unemployment, 70-per-cent unemployment. We have a lot of people trained up right now and we were waiting for the Final Investment Decision from LNG Canada that eventually came about. So we are sure ready for things to happen. We have already done some work but there is more to come. The environmental piece is always a big one for us. And we have been looking, at our expense, at ways and means to get up to date on environmental impacts. So we are partnering with another group to address environmental impacts. That’s totally our cost to put that in place, but we want to make sure that the environment doesn’t get harmed. It’s not only as a result of LNG but also any other things, on the water for example. In the spirit of our Creator God, we will work with LNG Canada and others, to ensure that all of the processes are implemented — with the priority issue being our environment, using today’s top technologies and expertise. We are ready to take on today’s cleanest energy, and continue to work towards other more renewable, environmentally friendly and sustainable energy forms and technologies.